Classic furniture design doesn’t mean losing out on practicality. The Devonshire dresser is handcrafted with traditional styling. Finished in rich walnut with beautiful tongue and groove detailing, this dresser features both generous drawer and cupboard storage. 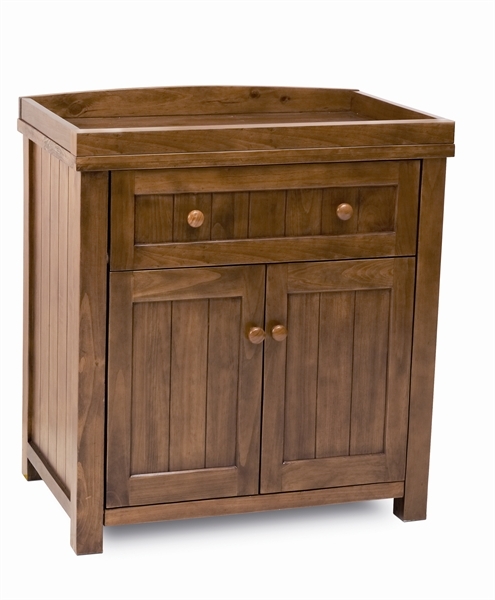 It also has a removable changing top and converts easily from a changing station to a grown-up dresser.